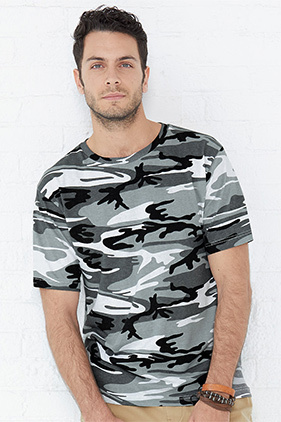 100% cotton 5.5 ounce printed jersey knit camouflage t-shirt. Ribbed crew neck. Double-needle stitched sleeves and bottom hem. Shoulder-to-shoulder taping. Urban Digital and Urban Woodland are sewn with 100% cotton thread.